The blurred line that Fernández refers to between participation and observation is integral to the art at the Olympic Sculpture Park, as well as to SAM’s Education Department as they design programs to engage visitors from all walks of life. “It’s amazing to have the Sculpture Park as a free resource located in the heart of Seattle and to think of how we as educators can maximize that opportunity for the community by creating programs that challenge visitors to rethink the relationship between art and environment,” says Regan Pro, SAM’s Kayla Skinner Deputy Director for Education and Public Programs. Pro continues, “I love thinking about all of the different ways we have had visitors interact and engage with Alexander Calder’s The Eagle over the last ten years and how people have come to think about all of the permanent sculptures in new ways.” Every year, all second graders from Highline School District explore the land and art around The Eagle during the free tours and art workshops offered as part of SAM’s School Programs. Dogs and their owners walk along the path at its base during Dog Night. Revelers dance into the night beneath its wingspan during Remix, which moves to the Sculpture Park for its summer iteration. 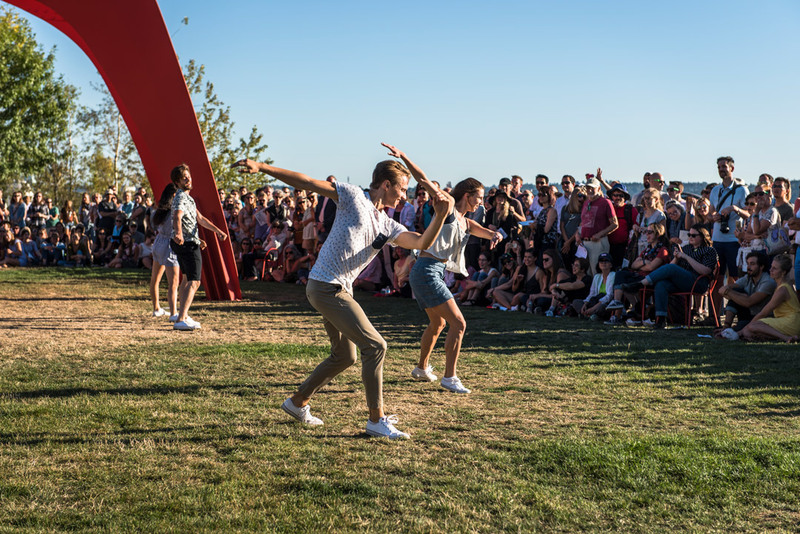 Dancers from the Pacific Northwest ballet perform new work beneath its steel limbs as part of Summer at SAM for Sculptured Dance, a night of site-specific performances. These are only a few of the many programs that offer a chance for the public to participate and think about The Eagle and other works in the park in new ways. 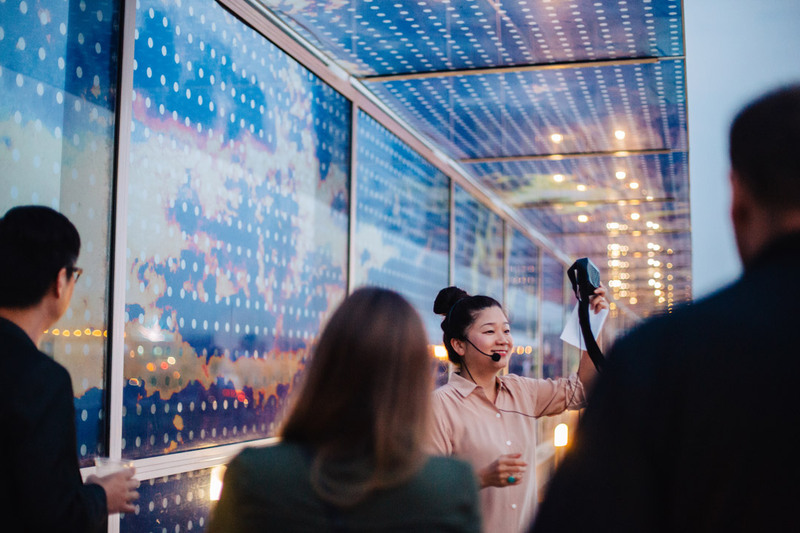 In recent years, SAM has expanded the programming in ways that stretch ideas about what art museum experiences can be. 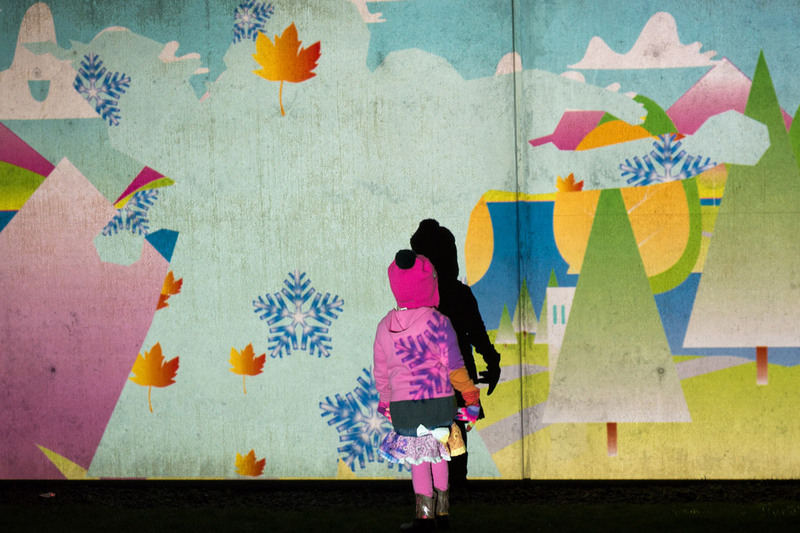 This fall, the museum will partner with Tiny Trees to offer an outdoor preschool at the Sculpture Park that focuses on art and the environment. In the winter, SAM Lights illuminates the landscape with temporary light installations and hundreds of luminarias. And, the PACCAR Pavilion temporarily becomes an artist residency space, where performers create new projects in response to the artworks and landscape. Essential to all of the educators’ work is the participation of departments from across the museum and beyond, including community organizations like Pacific Northwest Ballet and Forterra. “This is work that incorporates ideas of so many people,” emphasizes Pro. 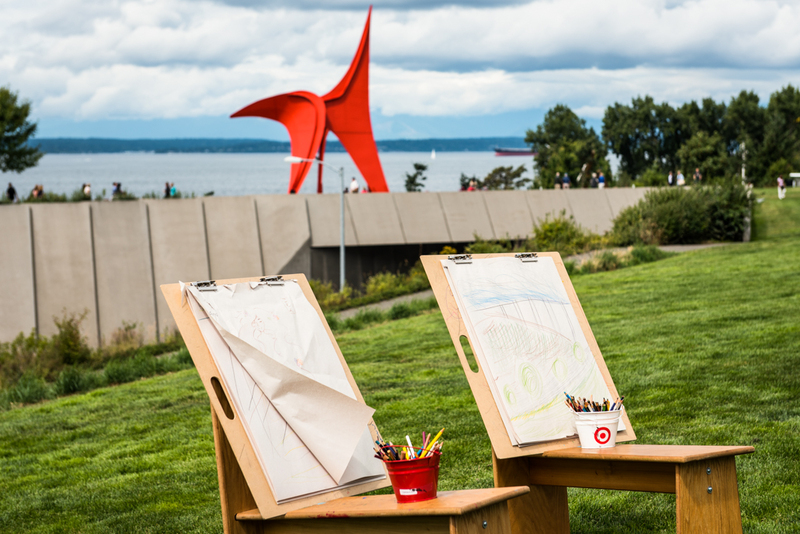 “It’s this shared vision that’s made the programs at the park successful.” Similarly, it’s the coalescence of elements—the art, the design, the environmental achievements, the landscape, the programming and the community—that together create the Olympic Sculpture Park as we know and celebrate it now, on its tenth anniversary. This post is the final installment in a series of stories exploring the history of the Olympic Sculpture Park in celebration of its 10th anniversary. Images: Photo: Robert Wade. Photo: Jen Au. Photo: Robert Wade. Photo: Sasha Im.